Linda Holloway, Ph.D., CRC is Professor and Chair of the Department of Disability and Addiction Rehabilitation at University of North Texas. 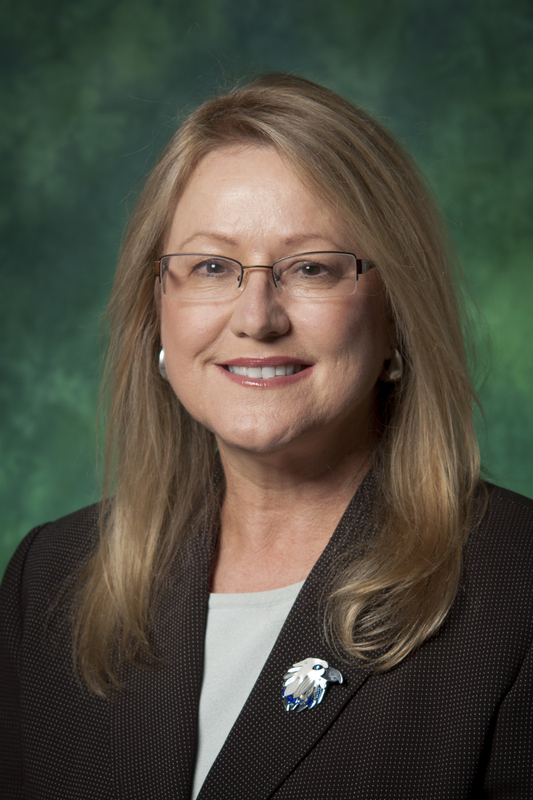 She served as the Chair of the Commission on Rehabilitation Certification (2013), President of the National Council on Rehabilitation Education (2008), and President of the Texas Rehabilitation Association (2015). Previous awards include Rehabilitation Educator of the Year Award (2003), Rehabilitation Service Administration Commissioner’s Award of Excellence (2004) and the Texas Rehabilitation Association Special Project Award (2008). She has extensive experience in mental health, substance use disorders, rehabilitation and supported employment. She previously served as the director of Mental Health Services at Denton County MHMR and served as a consultant for the DARS mental health supported employment pilot program. She started the minor in Addiction Studies at UNT and is the faculty sponsor for the Collegiate Recovery Program at UNT. 1) Haag, M., Woods, T., & Holloway, L. (2011). Impacting quality of life at a homeless shelter: measuring the effectiveness of Say-It-Straight™. International Social Sciences Journal, 5(12), 195 - 204. 2) Holloway, L., Evenson, T., Haag, M., & Garber, M. (2008). Best Practices in Continuing Education. Journal of Rehabilitation Administration, 32(2), 105-113. 3) Schultz, J., Holloway, L., & Wagner Williams, C. (2008). Advancing the profession’s identity: turning vision in to reality – 8th national rehabilitation educators conference. Rehabilitation Education, 22(1), 5 – 30. 4) Evenson, T. & Holloway, L. (2007). Undergraduate education: An essential rung on the rehabilitation career ladder. Rehabilitation Education, 21(2), 73 - 85 . 5) Evenson, T. & Holloway, L. (2006). The state of undergraduate rehabilitation: A survey of coordinators. Rehabilitation Education, 20 (2), 103-113. 6) Reed, J.M., Holloway, L., Leung, P., & Menz, F.E. (2005). Barriers to the participation of Hispanic/Latino individuals in community rehabilitation programs. Journal of Applied Rehabilitation Counseling. 36(2), 33-41. 7) Barton, T., Leung, P., Koch, S., Holloway, L., Isom, R., and Evenson, T. (2005). Cautions and Recommendations in Using the Longitudinal VR Program Study Earnings Data for Research and Educational Purposes.” Rehabilitation Education. 19(1), 47-62. 8) Holloway, L. (2003). Service learning in Mexico: Using a sustainable community approach. Sustainable Communities Review, 6, 27 - 30. 9) Evenson, T. & Holloway, L. (2003). Promoting professionalism in human service education. Human Service Education, 23(1), 15 - 24. 10) Holloway, L. (2002). Community rehabilitation programs: Assessing effectiveness using the competing values approach. Journal of Rehabilitation Administration, 26(3), 183 – 194. 11) Isom, R., Barton, T., & Holloway, L. (2001). Pediatric earning capacity: Developing a defensible estimate of pre-morbid earnings. Journal of Forensic Vocational Assessment, 4(1), 21 – 28. (Note: Barton and Holloway contributed equally). 12) Barton, T., Dietz, T., & Holloway, L. (2001). Using a pretest-posttest design to evaluate continuing education programs. Professional Development, 4(1), 32 – 39. 13) Quinn, J., Gould, L., & Holloway, L. (2001). Community partnership councils: Meeting the needs of Texas’ parole officers. Corrections Compendium, 26(7), 1-5, 18 –19. 14) Evenson, T. & Holloway, L. (2000), Competencies of baccalaureate-level rehabilitation workers in community rehabilitation programs. Rehabilitation Education, 14(1) 115 – 136. 15) Boyd, D. & Holloway, L. (1994). Challenging myths about older workers through projects with industry. Southwest Journal on Aging, 9(2), 91 –96.